this weekend my friend amelia is in town from california, so we've been running around doing all the stereotypical PNW autumn activities! from apple picking, coffee shop hopping, and dancing in the rain, we've been living our best fall lives. 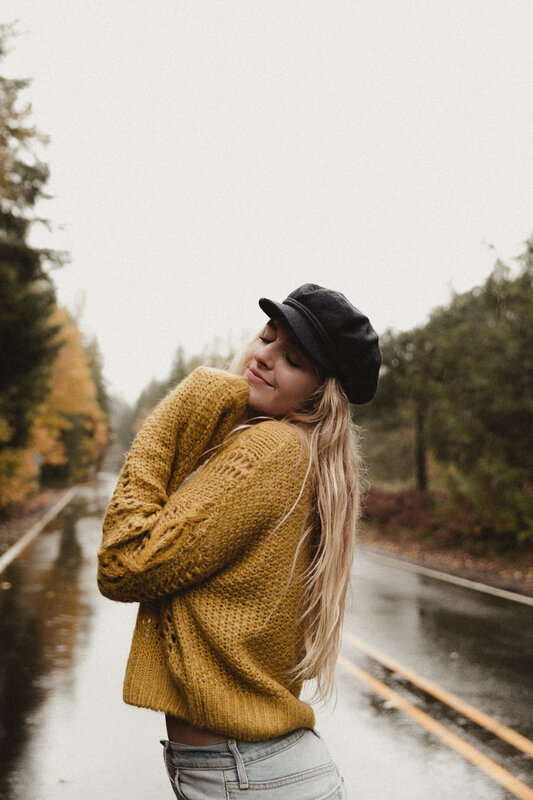 yesterday our friend caleb drove in from bend, oregon to hang out for the day and we decided to go on a little shooting adventure in the rain! below are a few images from this gorgeous little secret gem of a road...enjoy!